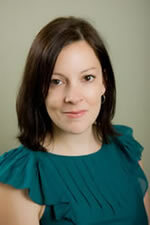 Kristine graduated from Wellington College in Winnipeg, MB, receiving her Registered Massage Therapy diploma in 1998. Since that time she has worked in several clinics and joined Broadway Chiropractic and Health Centre in 2002. Over the years, Kristine has taken a variety of courses which have enhanced her ability to meet a large variety of client’s needs. These have included courses in pregnancy massage, infant massage, sports massage as well as myofascial release. Kristine continues to seek out and learn different types of therapy and while she is proficient in relaxation massage, her clients know her best for her deep therapeutic treatments. Embracing the opportunity to work in an interdisciplinary setting, Kristine transitioned with the clinic in its move from Broadway Chiropractic to the Centre for Natural Pain Solutions, where she continues to service her clients in the best of massage therapy.